Flowers can do wonders to any woman’s looks. If a bride is aiming at looking her best on her big day, she can certainly count on flowers. And what else can add to her beauty than a gorgeous flower crown? If in addition the bride remembers certain tips, she can make the most of the crown. Here are a few tips. From full to partial, large to delicate, there is a bridal flower crown for every choice and there is a flower fit for almost all wedding hairstyles. Some of the most gorgeous ones are the down and wavy, low buns and side styles. Keep in mind that your flower crown should accentuate your wedding hairstyle and should not steal the focus. This can allow you to take it off whenever you want yet you won’t lose the look of your style. This is the reason why all side and down styles work well with the flower crowns. 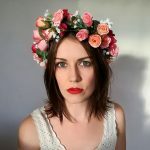 While choosing between full and half flower crowns fully depends on one’s personal choice, half flower crowns are more practical. 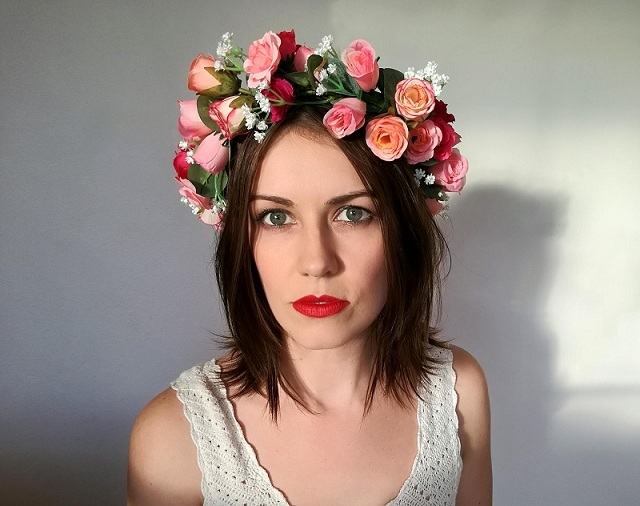 A full flower crown is pretty much a statement and can also be very heavy to wear. On the other hand, half-crowns look just cute and great as a lighter wedding accessory. A simple flower crown with only one or a few blooms looks the most elegant and offers an added bonus of ease of securing well with hair pins. Delicate crowns are also more versatile as a simple crown makes a bride look stunning in loose waves or a sophisticated chignon. You can’t simply resist the fragrance of freshly picked flowers. However, you have to be careful to consider the temperature at your event and check with your florist the expected shelf-life of your favorite blooms. It’s better to refrigerate your flower crown until the last minute to save it from wilting. But if you are too worried about the crown getting wilted, you can choose dried flowers. This also allows you to get your favorite flowers though not being in season. They are also more cost-effective and can offer a rustic vibe to your big day if you would be organizing it in a farmhouse or barn. 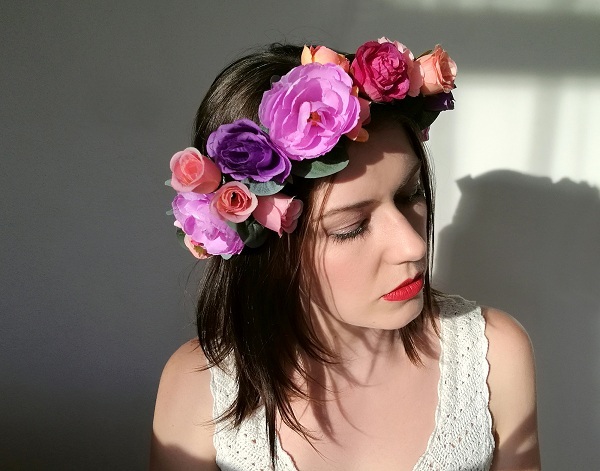 Fortunately, there is no rule as to which hair color you should have to make your flower crown look the best, as flowers look fabulous on all hair colors. Still there are certain go-to combinations. E.g. brunets would look stunning with burgundies and deeper reds; but if you wish that your flowers should truly pop, make the opposite. Red heads will look striking with shades of white, blondes great with bight pinks and brunets amazing with bright yellow. Make sure you talk to your florist (and also your hairstylist) before making a decision since some flowers may not be available depending upon the season and some won’t last out of water. Choose an amazing flower crown with these tips and get the angel look on your big day.